Yellow Fever: Southeast Asia’s next great outbreak? “If you ask me which one I am worried about, I will say yellow fever,” warns Professor Ooi Eng Eong. Yellow fever will be the next big disease outbreak in Asia, Ooi believes. 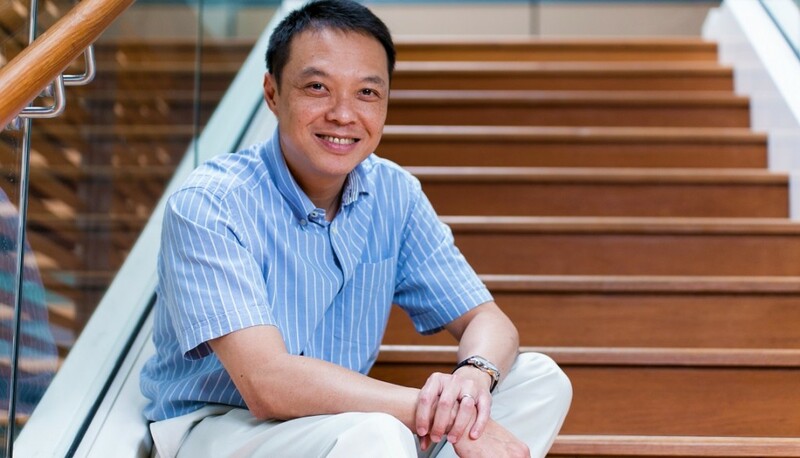 He is the Deputy Director of the Emerging Infectious Diseases Programme at Duke-NUS Medical School in Singapore. He caught up with GovInsider to discuss how governments can prepare for the next great outbreak. Yellow fever carries “a very high mortality rate”, he says. This is worrying for the region because China has reported at least 11 confirmed cases between March 13th to April 12th 2016 that were imported from Angola. Yellow fever is spread by the same Aedes mosquito as dengue. Attempts to effectively control the Aedes population in Southeast Asia have not been easy to sustain, Ooi says, because they “thrive in urban settings”. Another source of concern is the region’s lack of endemic immunity to yellow fever. “The immunity levels to yellow fever will be near zero, because all of us have never had yellow fever before,” he says. However, the global production of yellow fever vaccines is low. “There’s just not enough consumption of yellow fever vaccines to justify large scale productions from commercial companies,” he says. It is only needed on occasion; its demand is hard to predict; and when it is needed, it must be available immediately. Governments must start building vaccine stockpiles, so that companies have a reason to produce them, he says. “Governments will probably have to step in. There’s no other way of doing it,” asserts Ooi. They have to “commit to buying a certain number of doses each year”. Governments can also benefit by funding more research on the dosage of yellow fever vaccines. Vaccines are produced to provide immunity for life. However, during an outbreak, smaller doses could be sufficient to stop the spread of yellow fever, says Prof Ooi. Governments must research how small these doses can be to make the best use of limited supplies. For instance, “one vial which would have normally gone into one person could go into five people,” he says. Broadly, governments also need to change the way they fund research on infectious diseases. The current system of funding allows academics to pursue their niche interests, Ooi says. Governments and international funding agencies should instead make “targeted call for research proposals that solve specific problems,” he says. This change of focus can serve as a wakeup call to researchers to pay more attention to existing challenges, adds Ooi. Infectious diseases know no borders. Hence, regional collaboration to stop the spread is important and needs to be funded. Governments usually provide funding for research to be done within their own country. This poses a serious challenge to regional collaboration, Ooi states. For example, if three scientists from Singapore, Malaysia and Vietnam want to work together on a project, they may need to acquire three separate grants. It can be hard for governments to justify spending taxpayers’ money abroad. “It is sometimes difficult when you send money out of Singapore to say, ‘Well, it is actually still going to benefit Singapore’,” he explains. In the case of infectious diseases, however, regional collaboration can help save millions of lives. “If you can control the disease before it hits Singapore, then you have basically protected all 5.5 million people here,” he adds. Finally, governments must ensure that vaccines are ready for immediate use, once they have been produced. This requires them to fund research all the way to the final step – testing that the drug is effective on humans, he says. This is a lesson learnt from the Ebola outbreak. The Ebola vaccine was tested on humans only during the outbreak itself. “It was not like the whole world had no vaccine; they did have. Just that it never went to clinical trial because there were no Ebola cases,” Ooi says. Yellow fever remains a threat to Southeast Asia, despite the availability of a good vaccine. Governments must take steps to protect the region from a possible outbreak. Comment: India can also get Yellow Fever Disease if we do not protect ourselves by taking the Stamaril Yellow Fever Vaccination BEFORE traveling to African & South American Countries. Ensure that you stay protected.